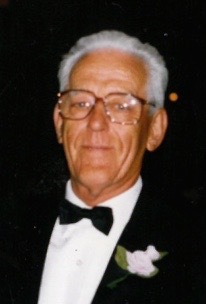 At Parkwood Hospital on Saturday, January 9, 199, Robert “Bob” O’Keefe passed away in his 75th year. Beloved husband of Kathleen O’Keefe. Dear father of Rob O’Keefe and his wife Tish of Sudbury, Maura Cameron and her husband Jim of London, Kevin O’Keefe and his wife Lori of Aurora and Deirdre Grixti and her husband Pat of Whitby. Brother of Maureen O’Leary of Ireland. Loving grandfather of Katie, Maggie, Jimmy, Tessa, Michael, Madeline and Sean. Predeceased by his son Sean Daniel (May 7, 1986) and brothers, Timothy Murphy, Sean and Cormac O’Keefe. Visitors will be received on Monday from 2-4 and 7-9 p.m. at the O’Neil Funeral Home, 350 William Street (between King and York). Funeral Mass in St. Patrick’s Church (Dundas and Oakland) on Tuesday at 10 a.m. Interment St. Peter’s Cemetery. Prayers Monday 8 p.m. Memorial donations may be made to the Parkwood Hospital Foundation for Palliative Care, 801 Commissioners Road, East, N6C 6A6.